Few plants are more interesting than bristlecone pine trees (Pinus aristata), short evergreens that are native to mountains in this country. They grow very slowly but live a very long time. For more bristlecone pine information, including tips on planting bristlecone pines, read on. Remarkable bristlecone pine trees grow in the mountains in the west. You’ll find them in New Mexico and Colorado, and across to the California-Nevada border. They grow in rocky, dry sites where conditions simply do not permit fast growth. And, in fact, they grow very slowly. A typical 14-year-old bristlecone pine tree growing in the wild is only about 4 feet (1.2 m.) tall. Bristlecone pine trees cannot be called classically beautiful, with their gnarled, twisted trunks, but they are certainly picturesque. They have curved, dark green needles about 1 inch (2.5 cm.) long in groups of five. Branches look a little like bottle brushes. Bristlecone pine trees’ fruit are woody, reddish cones, with thick scales. They are tipped with a long bristle, giving them their common name. The tiny seeds inside the cone are winged. And they truly have long lives. In fact, it isn’t uncommon for these trees to live thousands of years in the wild. The Great Basin bristlecone (P. longaeva), for instance, has been found to live about 5,000 years old. 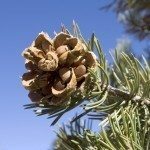 If you are thinking of putting bristlecone pines in landscapes in your backyard, you’ll need a little information. These tree’s slow growth rate is a big plus in a rock garden or small area. They thrive in U.S. Department of Agriculture plant hardiness zones 4 through 7. Bristlecone pine tree growing is not difficult. 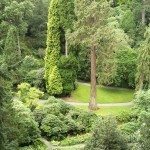 These native trees accept most soils including poor soil, rocky soil, alkaline soil or acidic soil. Don’t try planting bristlecone pine trees in areas with clay soil, however, since good drainage is essential. Bristlecone pines in landscapes also need full sun. They cannot grow in shady areas. They also require some protection from drying winds. They do not tolerate urban pollution, so big city planting is probably not possible. 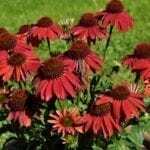 However, they sink deep roots into the soil and, when established, are extremely drought resistant. The root makes it difficult to transplant bristlecone pine trees that have been in the ground for a while.